Spring is in the air and the birth of new flora is evident everywhere. 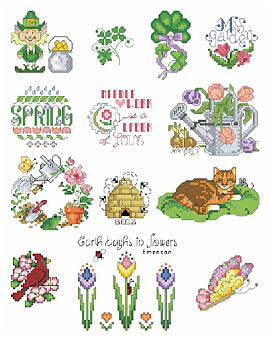 Thirteen delightful motifs are presented for a wide variety of stitching projects you can create. 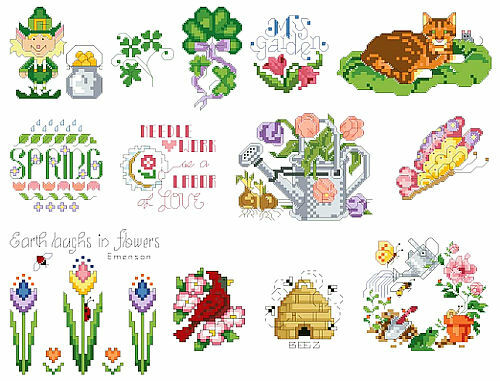 Each PDF download comes with a full color image, chart, DMC floss color guide, general instructions / stitch guide. You must have Adobe Acrobat installed in order to open this file. Most computer come with it pre-installed. If you are having issues or know you do not have it, try downloading it here.